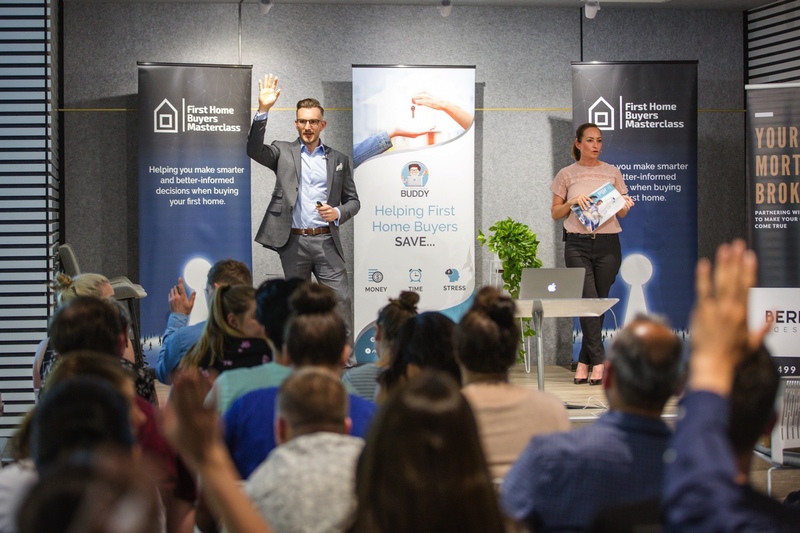 There were so many takeaways from our Melbourne First Home Buyers Masterclass, so we just had to write them all down, get them out of our head, and share them with you. Daniel and Lisa talking all the things property with the attendees. 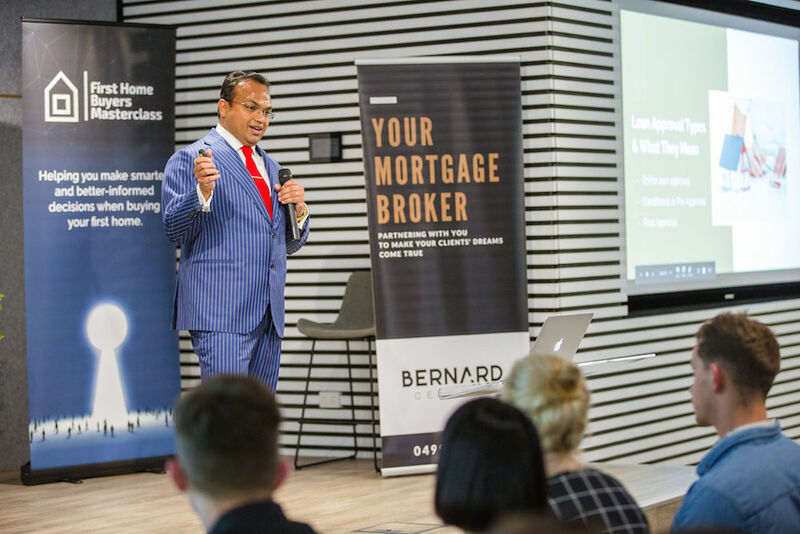 Bernard providing expert advice to help first home buyers understand the home loan process. Bernard shared some amazing insights and debunked a few of the more common myths about buying your first home. That included home loans, deposit sizes, tighter lending by banks and the crackdown on loan serviceability. Here are the main topics Bernard addressed. Conditional/Pre-approval – Full assessment – this is when the credit department of the bank or lender will review all of your documents along with a credit history check. Approval can take days (sometimes weeks) to receive, however, there are far fewer conditions associated with full assessment pre-approval, generally, it can just be a valuation coming in favourably. Full approval/Unconditional Approval – this is when all conditions stipulated by the bank have been met (ie. valuation on property or mortgage insurance etc) and you’re given loan documents to sign and return. Complete your pre-approval application with your mortgage broker to ensure you supply all the required information correctly. LMI – Lenders Mortgage Insurance (LMI) – is generally charged to all borrowers with a Loan to Value Ratio (LVR) over 80%. This is also known as having less than 20% deposit or equity. Remember, LMI protects the lender (bank), not the borrower. Guarantor Loans/Family Pledge – A guarantor uses their property to provide security for someone else’s mortgage. They guarantee part or all of your loan and you get to borrow (and repay) the money. If you can’t repay the money your lender will recover the debt from your guarantor’s property. This is why it can be a risky option for the guarantor, however, over 1 in 3 parents are still willing to assume this risk to help their children get into their first home. Borrow up to 95% – A 95% home loan is a low deposit home loan that enables you to borrow up to 95% of the total value of the property. This means borrowers are only required to have a 5% deposit saved for their home loan. Vary from State to State – the stats mentioned below are for Victoria, however, you can find information for each States Government Grants and exemptions here. First Home Owner Grants – When you buy or build your first new home of $10,000 and $20,000 for regional areas (up to the value of $750,000). Stamp duty exemptions – For properties purchased by first home buyers up to $600k and sliding scale up to $750k. What’s The Difference Between Banks – Brokers – Online Sites? Banks – Limited options, can only promote their own products (loans) that may not necessarily be the best option for you – or they may not have a loan to suit you at all. Mortgage Broker – Different lender options (some mortgage brokers like Loan market have access to 28 different lenders and thousands of different products). 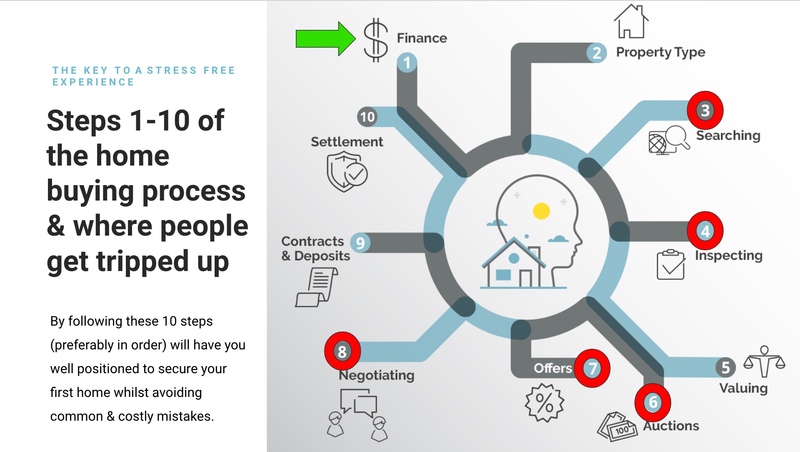 Plus a mortgage broker works one on one with you helping you find the right loan option to suit your situation and is there helping you throughout the entire process, from application to settlement. Have pre-approval in place if you’re wanting to submit an offer on a property and know your budget and what you’re comfortable repaying. Remember there are extremely competitive interest rates from some great non-bank lenders too (some you may not even have heard of). Chat with a mortgage broker early so you know how much deposit you will need for the size of the loan you want to borrow or if you need to make any changes to your spending habits before applying for a home loan. 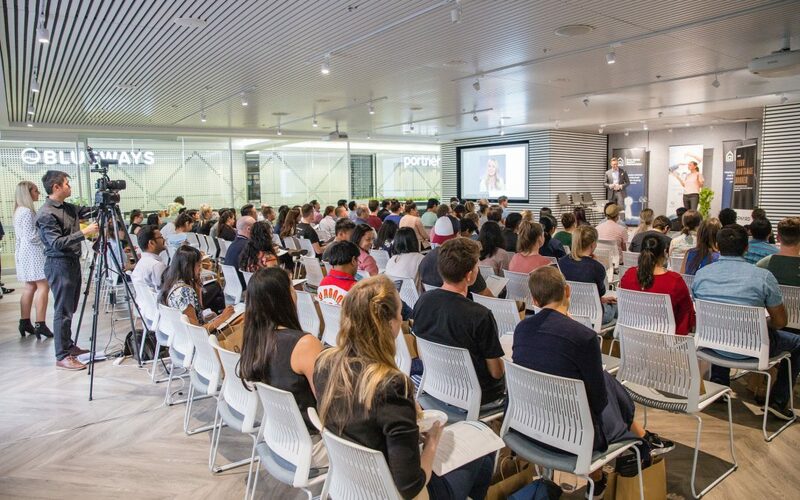 Peter shared some great information about the Melbourne property market. 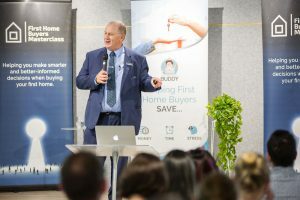 Popular suburbs for first home buyers, where you can get a lot of value for your money and where he sees the market heading over the next 12 months. Great time for first-time buyers to enter the market. It’s actually the best time in the last 8 years. Melbourne market is not heading upwards and it might even still drop back slightly (especially for units). 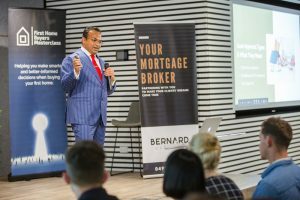 From a selling agents perspective, if you’re going to submit an offer on a property you want to purchase, show them you have pre-approval (which goes back to what Bernard said). They will take this offer more seriously and encourage the vendor to do so as well. Land will always go up in value, so give consideration to pre-loved/established homes when searching for your first property, even if it needs a little TLC as it may prove to be a better investment in the future. How much they can borrow. That’s why it’s crucial to follow each step in order. At the very minimum at least the first 5 Steps! Know your budget, one you’re comfortable with, speak to a Mortgage Broker and get your finance approved. Decide on your ideal property. Make sure you know the type of property you want and be aware of the pros and cons of each. You have a lot of options so you want to make sure you choose the ones that are best for you and your situation. Think about established properties (houses and apartments), Brand new properties (houses or apartments), Home and land packages and even off-the-plan developments. Valuing a property so much easier. Settlements should happen without the stress that most first home buyers go through. Building/Pest Inspections – These are advisable if purchasing an established property or even a brand new property. It’s a way to ensure you’re getting what you think you’re getting and what you’re paying for. Independent Valuations – Can help to determine the value of a property if you’re unsure of what you should pay. These can range from ‘desktop valuations’ which JLL Valuations can provide and are as affordable as $160 or in person valuations, which can be a few hundred dollars. Loan Protection Insurance – Helps protect you so you can still pay your mortgage if you lose your job or fall ill and can’t make your repayments. Cost – ALI Group can provide loan protection insurance for as little as $25pw for couples. Tip: Choose and organise your preferred professionals long before you start searching for your first home. Uniqueness and desirability – A 4 bedroom architecturally designed home or character filled heritage property can’t be compared to a standard 20-year-old 4 bedroom home in the suburbs. 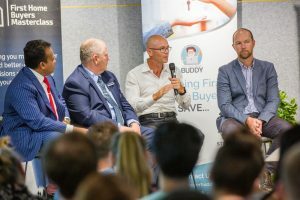 Supply and demand will affect the sale price of a property – If buyers have a lot of choices, chances are they won’t overpay for a property, however, if there are more people looking to buy than properties available for sale, you may have to pay more money because you’re competing with more people. Look at previous sale prices within the last 6 months as market conditions and prices can change during that time. Set up property alerts – Create an account with the property websites and have them send you alerts when any property matches your checklist. Start your research early – This means you’ll have a very good understanding of property values and market conditions before you’re ready to buy. We had some amazing sponsors and partners at the Melbourne First Home Buyers Masterclass, so we’ve added their details below. 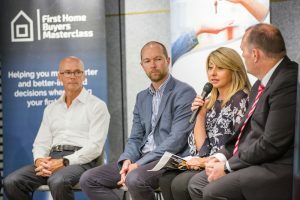 You can check out their sites, see what they do and make contact with them when you’re ready – be sure to mention the First Home Buyers Masterclass when you speak to them so you can access our exclusive deals with them. Mary Mase from ALI Group discussing the benefit and need for Loan Protection Insurance. JLL – Building and pest inspections, so you don’t buy another person’s headache + Property valuations so you don’t overpay. iBuildNew – Have access to wholesale home and land packages to help save you thousands of dollars. Victorian Property Settlements – Conveyancers guiding and protecting you throughout the entire contract and settlement process. Harp Interiors – Interior decoration made easy with E-Design. Helping you make a house a home.